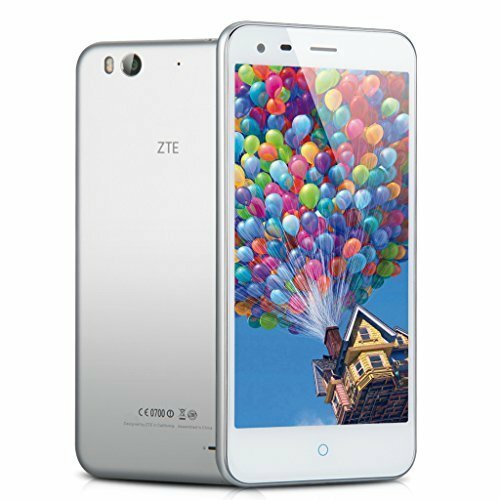 The ZTE Blade S6 Plus is available globally now from eBay and several other different online retailers. For the launch there is a special discounted price of $269.99 (which is £182.99 or €252.99). It’s normal retail price will be $299. For those in European and Asian markets, this device is a very solid wallet-friendly smartphone that you should definitely consider if you are looking for a device with a larger display. Model: In this modern age, where smartphones come with all sorts of fancy additives and features, one might struggle to find a fuss free but practical phone that gives users easy usability but comes with a reasonable price tag. In steps the ZTE Blade S6 Plus. The external design of this smartphone may not look very original, as it bears a strong resemblance to many generic boxy designs. However, one must not judge its by appearances alone. IPS LCD display screen measures 5.5 inches with a 720p resolution and a pixel density of 267 ppi. The IPS technology is especially crucial for color vibrancy, brightness and viewing angles. As to the hardware in this phone, we start with a Qualcomm Snapdragon 615 64-bit octa core processor with a clock rate of 1.5 GHz. This is paired with an Adreno 405 GPU and 2 GB of RAM. The octa core processor and the other equally impressive hardware ensure that the smartphone responds rapidly and efficiently with no hint of a lag. Additionally there is a 16 GB built-in storage which can be expanded by up to 32 GB with a microSD card. The memory is partitioned: a 4.29 GB area for the system function, a 3.87 GB area for apps and the remaining 7.83 GB for various user data and entertainment.